As I was preparing to write this reflection on Christmas I asked for some input. One person suggested she would like to be in a time machine to go back to the actual event when our God came among us in Bethlehem, in order to experience the peace and joy of that holy encounter. Certainly Mary and Joseph must have felt God’s surrounding presence with them, even in the midst of many hardships. But let us not romanticize their realities. Palestine was under political occupation by the Romans. Mary and Joseph were several days travel away from their family and friends. The lack of adequate shelter must have weighed heavily on Joseph, who certainly wanted to provide something better for his young wife. Mary must have been exhausted, having traveled from the north, and then giving birth to a baby. All of these factors would make the birth of Jesus far from idyllic from a strictly human point of view. It is the very humanness of these surroundings which enable us to celebrate the Incarnation. Our God became one of us in a specific time and place, experiencing all of the earthliness that is part of our existence: the bodily feeling of hot and cold, hunger, and the need and enjoyment of food, or tiredness and exhaustion, to name a few. It should not come as a surprise then, that we as Christians use tangible signs to express this profound and incomprehensible mystery. In our liturgies we use festive hymns, candles, and colorful vestments to indicate the importance of this feast. As Christians we extend that practice of using external signs to help us internalize the awesomeness of this profound truth of our faith. Bells, lights, Christmas ornaments on trees and doors, gift giving and cookie making, Christmas cards and greetings, and visits to family and friends, are some of the ways we proclaim our joy that our God came among us, and continues to be with us. Yes, at times, some people seem to lose the focus of why we give gifts; why we bake cookies, and celebrate together. Yes, at times our society seems only interested in selling and buying things, and the reason for the season appears lost. But let us not go to the other extreme. We are not Puritans. Our God, Jesus, came to us in the flesh, born as a baby. We cannot divorce our celebrations of Christmas from our humanity. Clearly we need focus and balance. What other religion professes that their god became a human person to help us understand the profound love of God for us? So let us rejoice in our preparations, and remember what it is we are getting ready to celebrate. What helps you to stay focused on the real meaning of Christmas? Have you included someone or a group of people in need at this time in your outreach, as a way of remembering the poor Christ born in a stable? Dorothy Fuchs, SND, was a high school teacher for twenty-nine years. 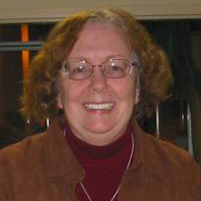 When teaching World Culture, religion and U.S. History Sr. Dorothy tried to give her students the sense of the inherent dignity of people of all cultures, the critical thinking skills necessary to evaluate events in history, and the realization of the gifts of our Catholic faith, a faith that teaches that all people are children of God. For fourteen years Sister Dorothy was a pastoral minister. For twelve if those years Sister served on the staff of St. Michael the Archangel Parish, where as staff liaison to the Social Concerns Committee she worked with the committee to promote awareness of current social justice issues. thanks for that belongs to the generous NDES and NEPS families. Dorothy, lots of Christmas food for thought during this very busy season. We all have to sit down now and then and ruminate on these queries you provide. Thank you! A Blessed and Merry Christmas season to all!